Will we ever see unlimited 4g? Re: Will we ever see unlimited 4g? I think Three will do an unlimited plan. 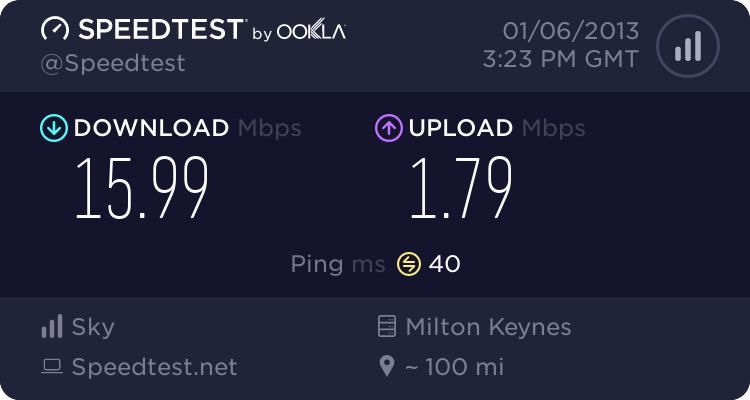 Switched to Be* since BT decided I am not getting FTTC! we will see it for sure and does likely on 3 given what they already announced. 3 already offer the 4G ready LG Google nexus at only £1 per month more than the Samsung Google nexus which is 3G only. I am not sure what other 4G phones they do or planning to do but my wife is looking at that one to compliment her nexus 7 when her current contract is up in January. And as the One Plan is truly unlimited with wireless tether able to do six devices I can see them scooping up a lot of customers. If I am wrong then I would love to hear but that's what I've read online. I bought one from google. are you saying theirs is 4G and the one from google isnt? If so im sending mine back lol! the uk model probably is different. Three has taken the 4G ready sticker off the product page and just put up HSPA+42 ready. Sounds like somebody jumped the gun at 3 and has now had to take it off. No matter it looks like a nice phone and it is the front runner for my wife to swap onto when she leaves O2. It's gorgeous I would highly recommend it! With the wireless charging it's really nice!. I also remember a quote from 3 that suggested that as their HSDPA network is as fast as most 4G networks will be for a while that they are in no rush to actually roll out 4G so it could be a while before you see it - and if their current network can deliver similar speeds to the first waves of 4G then you have to wonder why as an end user you would actually care if 4G is available. Well I took my 4G EE sim back because my contract with 3 was always faster. So I would be happy to wait. I live in an around where I get between 8-14 but i've had 27 in some places so I know the network is good.